Update from the 2012 Quilting Retreat /Hawks Aloft Inc. 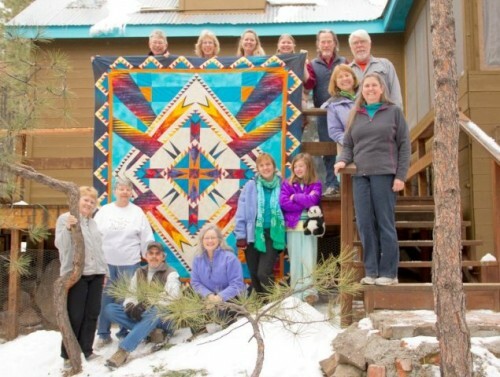 The 2012 Hawks Aloft quilt retreat was a success! This year’s raffle quilt is titled Festival of the Cranes Quilt XIX. Many thanks to the 2012 Quilt Team who stitched the quilt top in one and a half days at the quilting cabin. 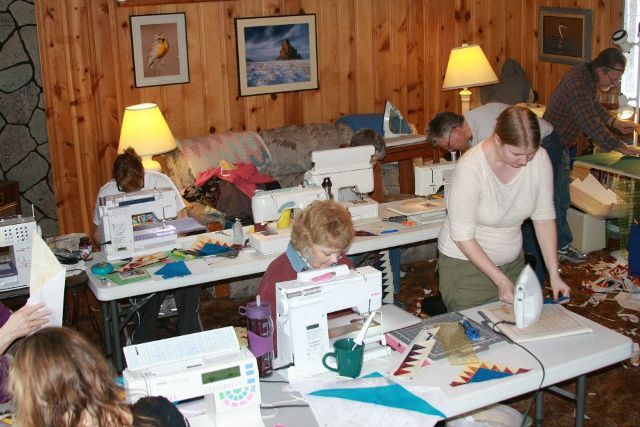 Ruth Burstrom, Debbie Caffrey, Ed & Mary Chappelle, Steve Elkins, Gail Garber, Mike & Michel Hymel, Anita McSorley, Amelia Porter, Chellye Porter, Lizzie Roberts, Rhianna Roberts, and Sam Sanborn.